This country has coltan, copper, diamonds, gold, timber, oil, and zinc, tin, tantalum and tungsten, talented people, great weather and fertile soils. It is a living paradox of so rich yet so poor. The timeline of conflict unveils the shaky foundation: King Leopold II of Belgium plundered Congo stole until he could steal no more – fetching a cup from an ocean, independence attained, Congolese celebrated, Lumumba disappeared, Kasavubi a man described by many as weak, became Congo’s first president. It wasn’t long before the Belgians supported a man after their own heart to power- Mobutu Sese Seko. Like his God-fathers, plundered his own country. He lived a life marked by extravagance, a true son of grab and take that Ngugi Wa Thiongo talks about. Amazingly, he holds a special place in the hearts of many Congolese that describe him with tangible nostalgia. The neighbors had to do something Laurent Kabila fought his way in with the help of his scheming African brothers, not long before he fell to an assassination by an inside man. The heir to the throne, Joseph a Kabila a Ugandan reared boy, took charge of the wealthiest nation. 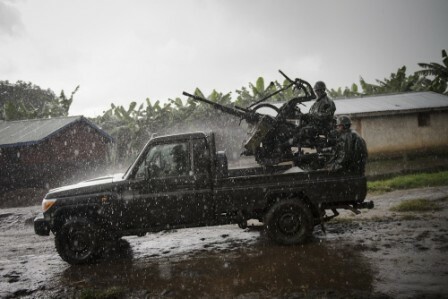 I have always wondered how this young man has survived the many rebel groups in East DR Congo, I realized, no roads, no form of infrastructure at all to connect the four major cities Kisangani, Goma, Katanga and Kinshasa where he lives. So somehow he has survived. Will he survive the determined, well equipped M23 who are supported by his foster-fathers that he runs to when things are tight? Goma is fallen, the M23 headed for Bukavu. How long will it take for Kinshasa to fall to this prepared Army? And then what? Congolese are tired of history repeating itself. A UN report accused the M23 of executing opponents in DR Congo. Where is the light at the end of this tunnel? To divide the nation to a manageable size yet the Congolese prefer unity? 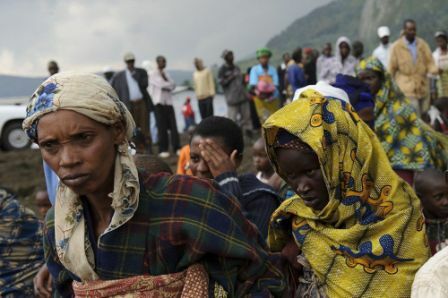 Will annexed Goma, and Rutshuru to neighbors help? Will federalism help? The tunnel gets darker every day. Consider the sad truth is that, the women are brutally raped, children abused and fathers of the nation killed – displaced in their own country. Heard on BBC on Friday morning a plea from civil society that the international community should intervene. Who is the international community, what is their structure? Who have they helped before that Congo can count on them? If they are, UN is their representative. But we know that MONUSCO (UN Mission in Congo) has been in Congo since 1999. They keep peace. They watched the M23 take over Goma as they “kept peace”. I join Ally my Congolese friend to petition God to help the country he richly blessed. ← What is in stock for Uganda’s next generation? Well written prudence, I want to have my take in this way. I am taken a back by the kind of approaches the Presidents of Rwanda, Uganda and Congo of course the victim Kabila are taking. My thought is that these gentlemen are locked up in meeting rooms taking tea and eating sausages at the expense of their people. They are running away from their responsibilities of being accountable to their people and taking personal responsibility. Kabila needs to democratize DR Congo and provide and deliver to his people short of that people should take him on. My only prayer is that the populace is safe and the security is not compromised.